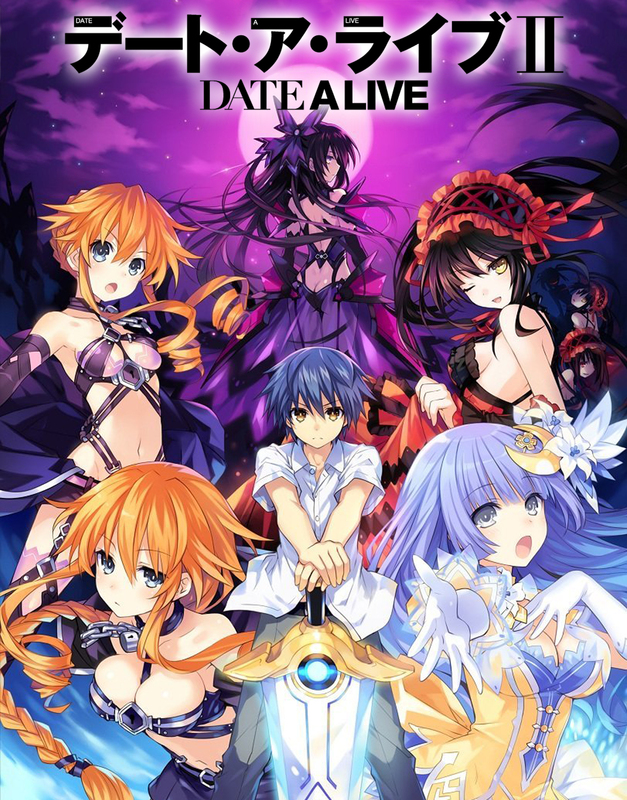 Date A Live II aired during April to June of 2014. It is the second season of the Date A Live series, read my review for the first season here. The story continues on with the events from the previous instalment. One month after Origami lost control and attacked everyone, the group is slowly returning to life as usual, Shido is studying for his exams and prepping for his upcoming school trip all the while having to deal with all the chaos that comes with living with Tohka and Yoshino along with his bossy younger sister. The monotony of daily life does not last long however as the class trip is interrupted by a ginormous hurricane. Shido discovers this is caused by two twin spirits battling it out in a big to see who the strongest is. When Shido tries to intervene he ended up getting dragged into their squabble. Meanwhile, a secret organisation with an interest in the spirits begins observing Shido. My Review: To be honest I don’t think that this season was as lovable as the first, with everything seeming to get bigger and less centred on the main characters. This season introduces a few new characters. Some of them are not bad, I think the twins add a nice dynamic that builds upon what has carried over from the first season, however, many of the other characters are quite forgettable and only seem to exist to buff out the roster. The plot was also quite forgettable, not carrying the weight needed to really evoke the watcher but all the same, still having some really cool fights and light fun moments. I foud the ending to be disappointing as it feels like nothing has really changed from the start, like we just return to a previous state.